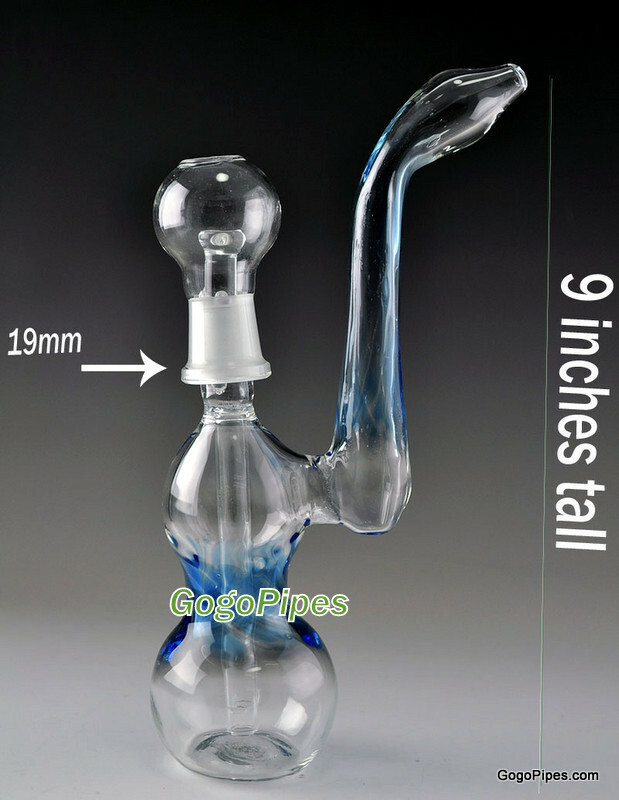 Smoke and fly in the sky with that brand new limited time glass bubbler addition. It's 9 inches tall with the seagull neck. 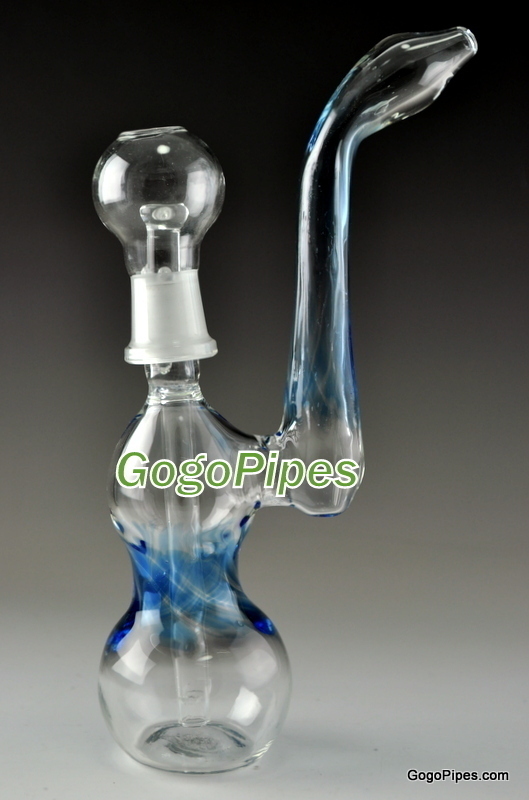 The elegant design with blue smoke in the glass. Pros: Excellent action. Great price. Cons: Leaned over a bit much , easy to tip over. Not a big deal though. Comments: This is a great bubbler for the price. Love the action on it. I got a glass-on-glass bowl with it too.